Once a month I would go up past the tea estate and follow lion-tailed macaques for three days. This would also be from dawn to dusk. Since these animals had a huge home range, of about 600 hectares for a group, they were not easy to find. A team of trackers was employed to locate them. Every month they would start looking for the study group. Sometimes they would find it within a day. Sometimes it would take up to three weeks. After finding the group, a message would be sent to me, and I would then drive up. I would stay at the electricity board guest house at Upper Kodayar. This was a new hydroelectric project that had just been completed, and the construction had left the area and its surrounding forest looking as if bombs had been dropped there. Since my predecessors had opposed new dams coming up in the area—and three more had been planned—I was an object of suspicion to the engineers who often stayed there. They were friendly enough. But why would anybody want to stop progress for the sake of a monkey? I was asked constantly by both the local engineers as well as the police (usually after attempts to get me drunk were made), whether I was an American spy. 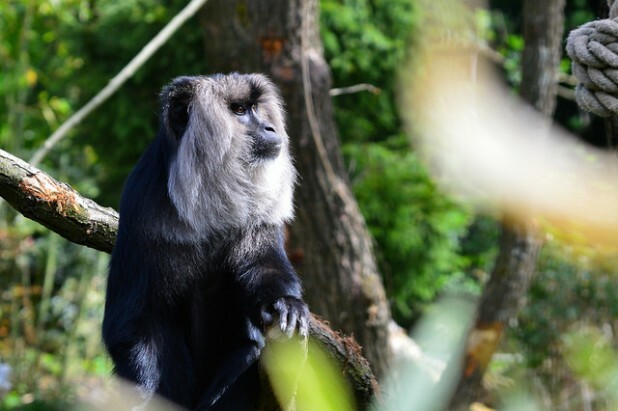 The lion-tailed macaque, over the next few years, became an object of hatred among the various planners in Tamil Nadu and Kerala. In Tamil Nadu, at least, there were alert and interested persons at senior positions in the forest department who were determined not to allow the upcoming dam projects. They were killed at the bureaucratic level. However, in Kerala the whole controversy about whether to construct a dam in Silent Valley revolved around the lion-tailed macaque. 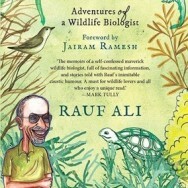 ‘Running Away from Elephants: Adventures of a wildlife biologist’ by Rauf Ali. Speaking Tiger Books, 2018, 224 pp, INR 450. As an aside, what was astounding about the Silent Valley controversy was that those who opposed it got away with it. Most claims made by the environmental brigade were easily falsifiable. A perusal of the guest house visitors’ book at the entrance to Silent Valley suggested to me that about 80 per cent of the people who had written indignant articles objecting to the dam had never even visited the place. Luckily the electricity board didn’t have any competent ecologists on its side. Now of course the case against the dam should be unbeatable, political compulsions notwithstanding, since we know so much more. This is not to say that the dam should have been built, just that the ‘scientific’ case against it was very shaky indeed. 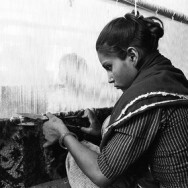 My sojourn at Kodayar was before all this happened. I also couldn’t see what the fuss was about. After all, we needed electricity, and dams were supposed to be the most non-polluting way of making electricity. So what if a few trees got cut? However, John Oates had got me thinking about the kind of changes that would occur, both in the forest and outside it. So I convinced myself that dams, at least in these locations, were bad, and afterwards the study of behaviour became secondary to ecology and conservation issues for me. To get back to lion-tailed macaques, why were they so scarce, in forest that looked completely undisturbed? We could understand that the cutting of rainforest had reduced the habitat available to them very considerably. However, here they were protected. The tea estate had been zealous in protecting them and it was ironic that they were suffering the consequence of not being able to expand their plantations because they had protected these animals. We still don’t really know the answer. Rainforest is not necessarily full of food. Fruiting of a tree happens all the time for some trees, once a year sometimes; occasionally it skips a few years in between. But bonnet macaques managed fine in the rainforests lower down even though they were not found so high up in the hills. The huge ranges of the lion-tails suggest that they have to look quite hard for food. It could also be that they require a variety in their food, and this again causes them to travel a lot. Another point that emerged is that the groups in the Anaimalai hills to the north are much larger, averaging eighteen individuals to the average of twelve found in this area. At several conferences since we’ve been bedevilled by what average group size to use to calculate the total populations. In this case the answer could be that the forest is much more fragmented in the Anaimalais, and the canopy is more open. The groups there tend to spread out a lot, compared to the compact groups one saw in Kalakad. Being spread out might reduce tensions among individuals, reducing the necessity to splinter and form new groups. Again, this is speculation, and we don’t really know. There was something surreal about being surrounded by a group of these animals, so tame in this case that they would allow approaches to very close quarters. The young ones would flinch when flashbulbs went off near them; the older ones ignored even this. An interesting administrative problem arose with the main study group. It lived at a junction of three forest areas – Mundanthurai sanctuary, which came under the control of the wildlife warden, Shencottah; Kalakad sanctuary under the control of the wildlife warden, Tirunelveli; and Virapuli Reserved Forest, administered by the district forest officer, Kanyakumari. This made three sets of permits necessary to study one group of monkeys. Now matters are fortunately simpler, after the area became a Tiger Reserve. I’m unaware of any other researcher having faced this problem. On one of my initial trips up to Kodayar, I stopped to have dinner with one of the tea estate managers. The road had thick fog on the way back to Kodayar, and very often the only way to see anything was to stick my head out of the window and watch the road edge. This was nerve racking because eight hairpin bends had to be negotiated along the way. When I reached Kodayar, the fog lifted and there she was: a large tigress sitting on the road. She moved off unhurriedly as I watched. This was the first time I had seen a wild tiger and the magic of the moment remains with me more than three decades later. 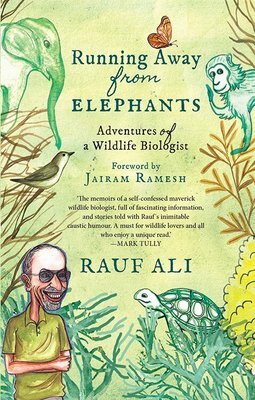 ~ Rauf Ali (1954-2016) was a naturalist who played an important role in environmental conservation and ecological sciences in India. This is an extract from his memoir Running Away from Elephants: Adventures of a wildlife biologist, Speaking Tiger Books, 2018, 224 pp, INR 450.